What is our 'Unique Collection'? Each of our unique properties is exclusive to us and they offer a range of options from relaxed indulgence to very individual style and exceptional service. 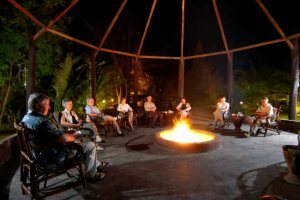 They also offer the opportunity to venture beyond the usual tourist resorts and experience more of this wonderful country, its people and its wildlife. Sometimes all you need is total relaxation - to switch off, leave the world behind you and let someone else take the strain. 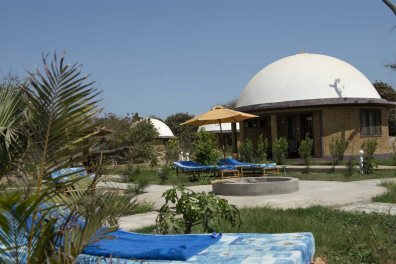 Our unique properties, with their emphasis on serenity and individuality are the perfect antidote to our hectic lives. 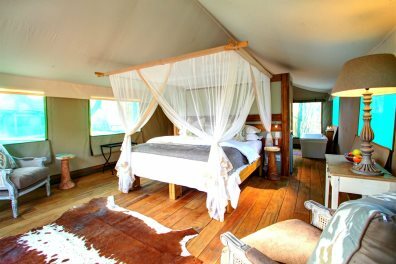 At Chimp Camp you can venture upriver and see the apes in their natural environment; at Fathala Wildlife Reserve, relax in your luxury safari tent and hear the hum of the African bush; and in your riverside lodge at Mandina Lodges, awaken to the glory of an exquisite dawn chorus. 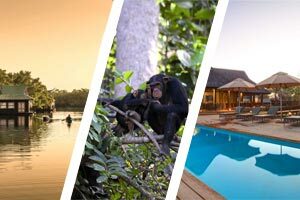 Or why not combine all 3 on our Wildlife of The Gambia and Senegal tour? 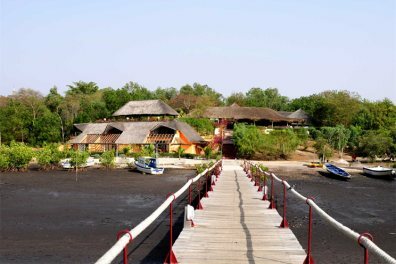 The Keur Saloum Hotel sits in a fantastic position perched above the stunning rivers of the Sine Saloum Delta, in Toubakouta in the Sine Saloum South region of Senegal, which meander into the distance in each direction. 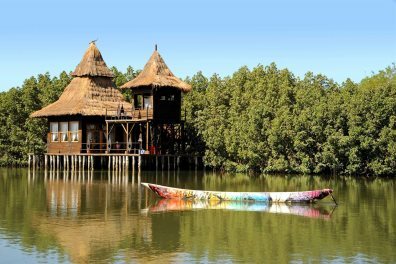 Unsurprisingly, the highlight for many at this hotel is the panoramic terrace that allows guests to relax in comfortable chairs or hammocks and take full advantage of these amazing views, with the sun setting over the mangroves beyond. A fascinating four hour journey upriver brings you to your beautiful camp. 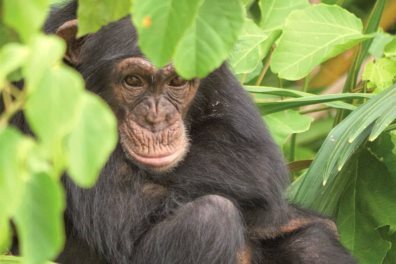 From here, overlooking the river and series of small islands that the chimps now call home, you can watch hippos and see the chimps in their natural environment. 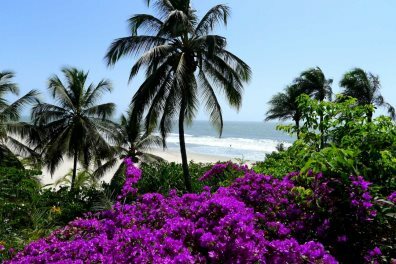 This is a different side to The Gambia and truly an experience of a lifetime. Set in the heart of the unbelievably bird-rich Tanji Bird Reserve looking across to Tanji shore and a beautiful stretch of coastline, the simple Tanji Eco-Lodge is a unique community-run property and a real paradise for birdwatching enthusiasts. This family-run property has long been popular on the French and Belgian markets, and it is easy to see why. 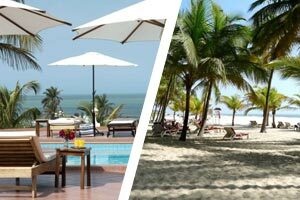 As well as the warm welcome that you will receive from owners Françoise and Christian Jacquot who's family have lovingly developed the property over the last 40 years, it enjoys a sought-after beachfront location half way along the palm-fringed wide expanse of white sands to be found along the coast of French-speaking Casamance.​. 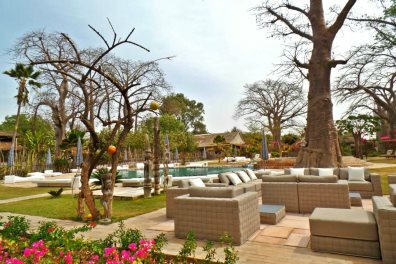 The Domaine Les Paletuviers Hotel is located in a quiet and tranquil area in Toubakouta in the Sine Saloum South region of Senegal, next to a saltwater bolong and is an ideal place to relax and unwind or to use as a base to explore the surrounding region. 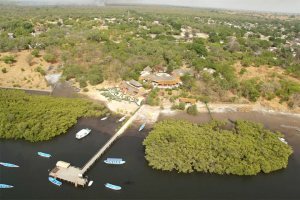 The 2,000 hectare Fathala Wildlife Reserve, is located within a 10,000 hectare national reserve near Karang in the Sine Saloum South region of Senegal, near the border between The Gambia and Senegal, is like a glimpse into West Africa’s past, a past where large animals roam free, where rhino, giraffes, giant derby eland, buffalo, warthogs, vervet and colobus monkeys are a regular part of the landscape. 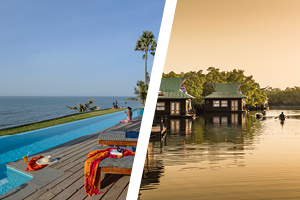 At Fathala, you can see all this and more, and make the most of some quietly luxurious accommodation and superior service.